Attending the Women’s Bicycling Summit September 2012 was a great experience: Hundreds of women energized and energizing and remaking the face of bicycling. And now we get to do it again! 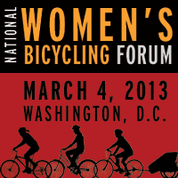 March 4 the National Women’s Bicycling Forum features a member of Congress, an industry trailblazer, and the New York City Transportation Commissioner, among other leaders of the bicycling movement. I’ll be on a panel about the world of social media talking about the Women’s Bike Blogs effort I started and the uses of social media to inform, engage, inspire, and ocnnect. On March 4 in Washington D.C., the National Women’s Bicycling Forum will unite hundreds of leaders to showcase and build on that energy and momentum. Hosted by the League of American Bicyclists’ Women Bike campaign, this unique event will highlight the central role of women in one of the most exciting trends in America today: the power of bicycles to bring better health, economic benefit, and travel convenience to millions of Americans. The Forum will be held from 9 a.m. to 4:15 p.m. on March 4 at the Renaissance Washington hotel (999 9th St NW, Washington, D.C.). Tickets are $85, which includes lunch and free childcare. Commissioner Janette Sadik-Khan: New York City Commissioner of Transportation and architect of NYC’s dramatic rise in bicycling. With a theme of “Women Mean Business,” this event will provide special focus on industry leaders, entrepreneurs and the economic impact of female bicyclists. According to the 2012 American Bicyclist Survey, women represent a critical majority for the future of the bicycle movement: 60% of bicycle owners aged 18 to 27 are women. In 2012 alone, women reported that they planned to spend nearly $2 billion on bike products. Highlighting the impact of women in the American bicycle industry, the opening keynote will feature a conversation with Georgena Terry, the first engineer to create women’s bicycles and launch an international women’s brand, and nearly two dozen small business owners will display their products and services in the Women Bike Pop-Up Shop. Both women and men are encouraged to attend the National Women’s Bicycling Forum and the event is intended and geared toward bicyclists of all ages, abilities, and advocacy involvement. Learn more and register at www.bikeleague.org/womenbike. Previous post: Errandonnee 2013: Winter Errands by Bike! Those of us so passionate about the topic need both these reminders from you, Barb – noting the benchmarks, history and great research (I highly agree with your recommendation for folks to read that Scientific American article on how to get more bicyclists on the road!). Getting more women comfortable with biking is not just a “women’s topic” – but instead, we are the ones to inspire and build the movement. When more women bike, more kids bike and more families bike. The more non-bikers see bikers on their roads – as commuters and errand-runners, especially – the more they might give it a go. People who are curious about biking have to see themselves, or someone that they can really relate to, in the biking lifestyle! Looking forward to your reporting from and post-conference, Barb. I am so excited to be heading to this event to listen, learn and network! Hope this conference is a great success and inspires more action to bring more women cycling advocates on board. I would suggest that some people get the owner for TeamEstrogen on board to speak to this also. She sells women’s cycling gear online (Oregon based) and there is an active women’s cycling forum that’s been running for last few years with membership internationally. Quite a number of women who have returned to cycling from their mid 30’s onward. And a lot who are over 40. It is these women who realize they have better do something about their health, etc. Thanks for posting about this. I am so badly wanting to go but simply cannot afford it. I think it’s really cool that you’ll be able to talk about women’s bike blogs! 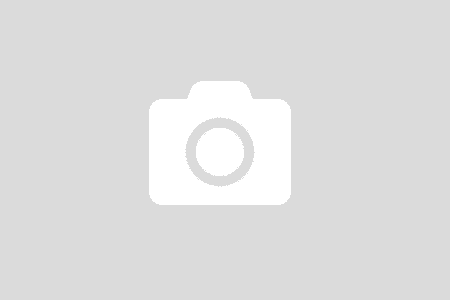 I just started blogging about my experiences as a woman cyclist and it’s been amazing. I truly hope that more people contribute to their campaign to increase their scholarship fund! Not just for me (as I submitted my application right on the deadline so I still probably wouldn’t get it) but because there is clearly a need to help get more women there!